**DRIVE AWAY FOR JUST £96 A MONTH- NO FEES & NO DEPOSIT! 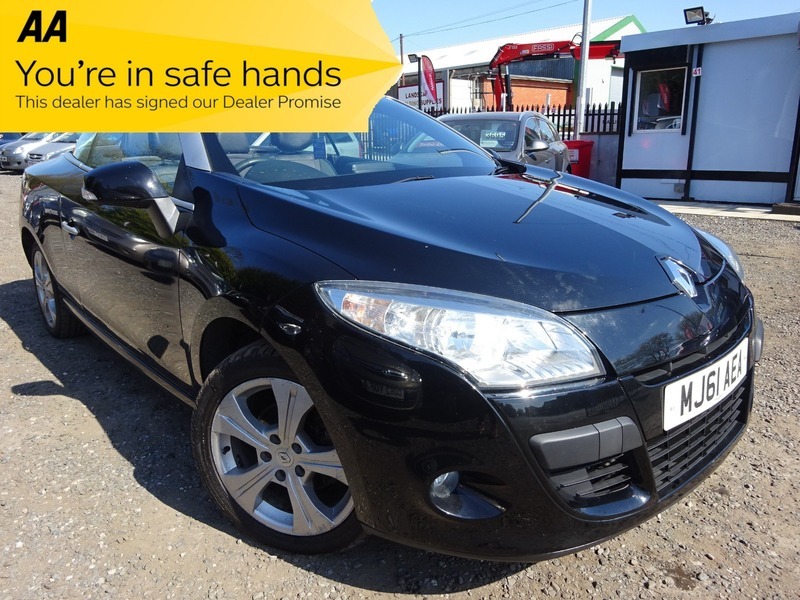 ** STUNNING LOOKING CAR IN GLEAMING BLACK WITH HALF LEATHER TRIM! TOP SPEC MODEL WITH TOM TOM SAT NAV, POWER FOLDING ROOF, KEYLESS ENTRY & START, ALLOYS & MUCH MORE! ONLY 67,000 MILES FROM NEW AND DRIVES SUPERB! RARE AUTOMATIC LOW MILEAGE EXAMPLE SUPPLIED WITH 3 MONTHS WARRANTY & 12 MONTHS AA BREAKDOWN COVER FOR ADDED PEACE OF MIND! COMPETITIVE FINANCE WITH NO FEES~WE TAILOR FINANCE QUOTES AROUND INDIVIDUAL CIRCUMSTANCES AND OFFER THE BEST RATES AVAILABLE WITH NO/LOW DEPOSIT OPTIONS!